This is a rectangular Fresh Tender Broilers porcelain sign. This particular Fresh Tender Broilers sign is navy blue with white print. 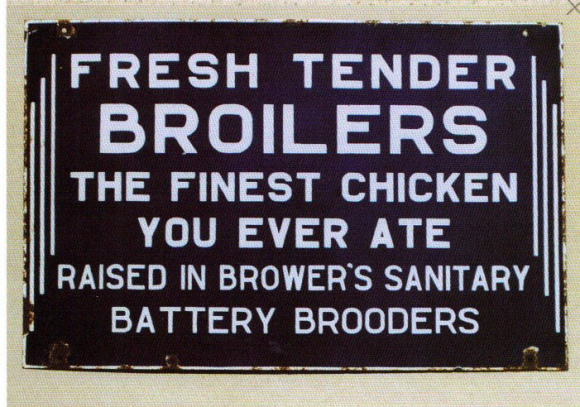 It reads, “Fresh Tender Broilers, The Finest Chicken You Ever Ate, Raised in Brower’s Sanitary Battery Brooders” and features three white stripes along the left and right sides of the sign.